Summer time at the NB3 Foundation is not for the faint-of-heart. During summer we are in full swing with our programs, camps, events, gatherings and much more. But the good news is WE LOVE IT! 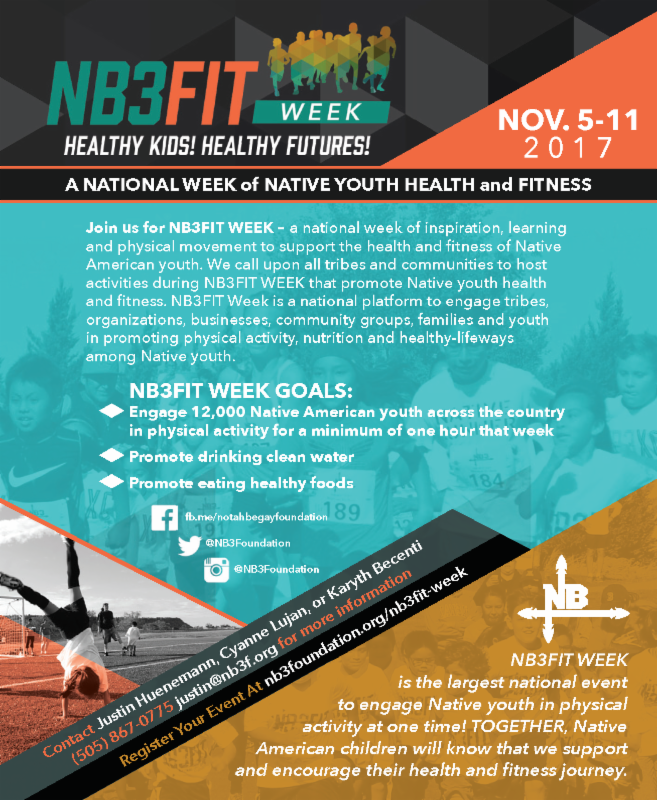 This summer, our NB3FIT coaches are working 6 days a week conducting camps and lessons throughout the Albuquerque region. 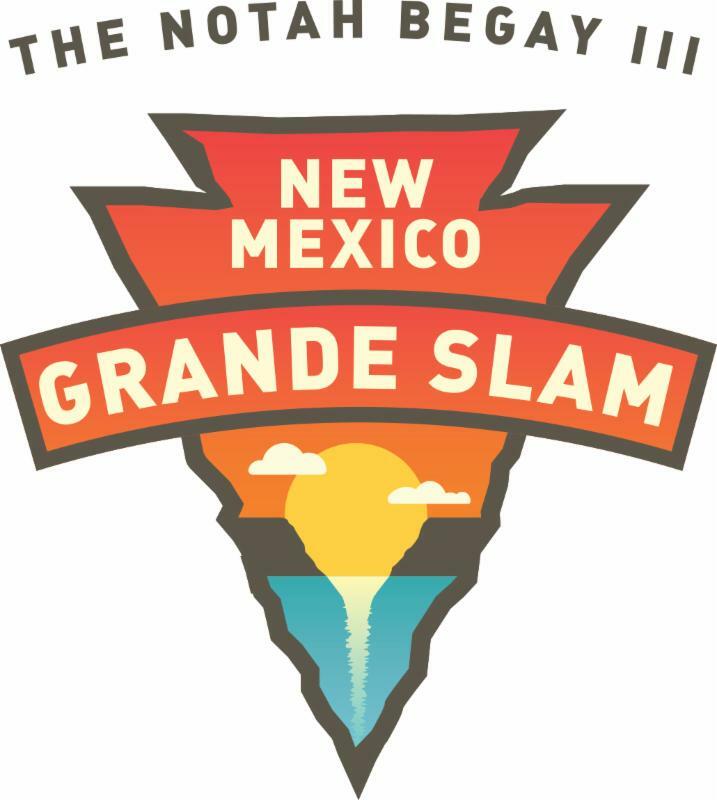 The New Mexico Grande Slam was a huge success, raising over $100,000 for the kids of New Mexico. The Water First! Learning Community continues to promote water consumption and the reduction of sugar-sweetened beverages in their communities. Our community partners are diligently promoting health, nutrition and fitness throughout the country. 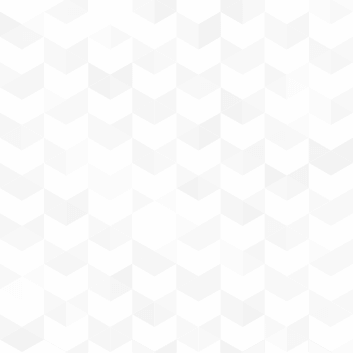 While we work hard, we also encourage our team to take time off and reenergize. To help with this, we officially close our office every Friday at noon during the summer months to encourage taking personal time. Through it all, we remain thankful for the opportunity to serve our youth and their communities and to help ensure all children have the opportunity to live healthy, happy and fulfilled lives. 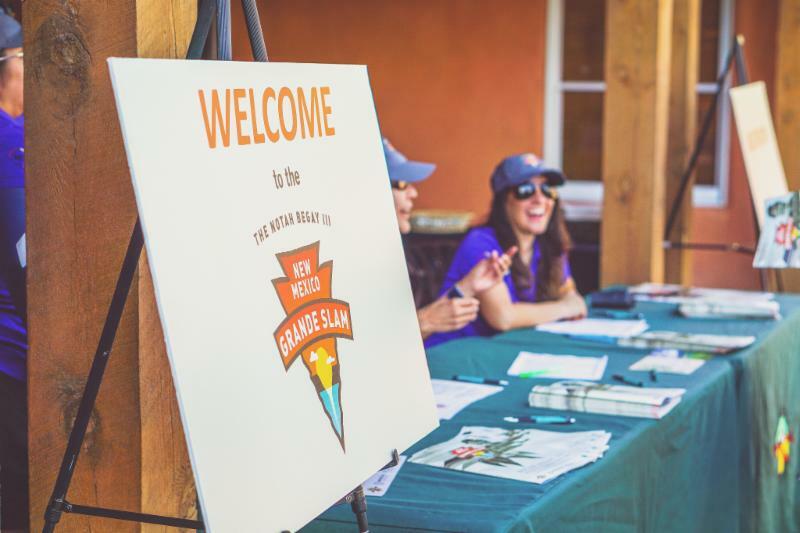 The 2017 Notah Begay III New Mexico Grande Slam was held on June 20, 2017 at the Santa Ana Golf Club and raised over $100,000 to benefit the children of New Mexico. Proceeds were directed to the NB3 Foundation, Keres Children’s Learning Center, New Mexico Friends of Foster Children and All Faiths Children’s Advocacy Center. 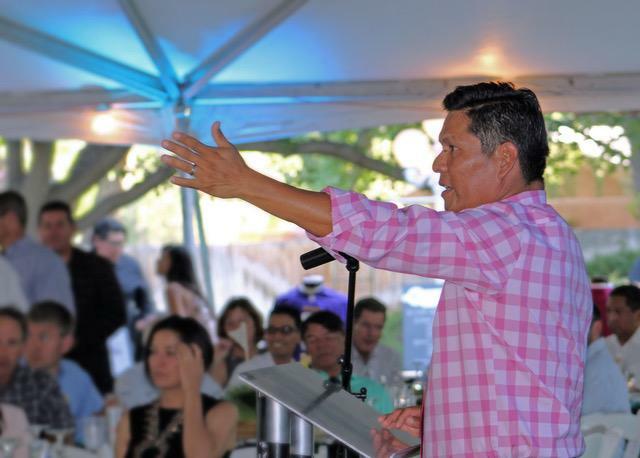 The state’s premier golf tournament was kicked off on June 19th with a VIP reception and dinner hosted by Apryl and Notah Begay III at their beautiful Rio Grande Valley home. 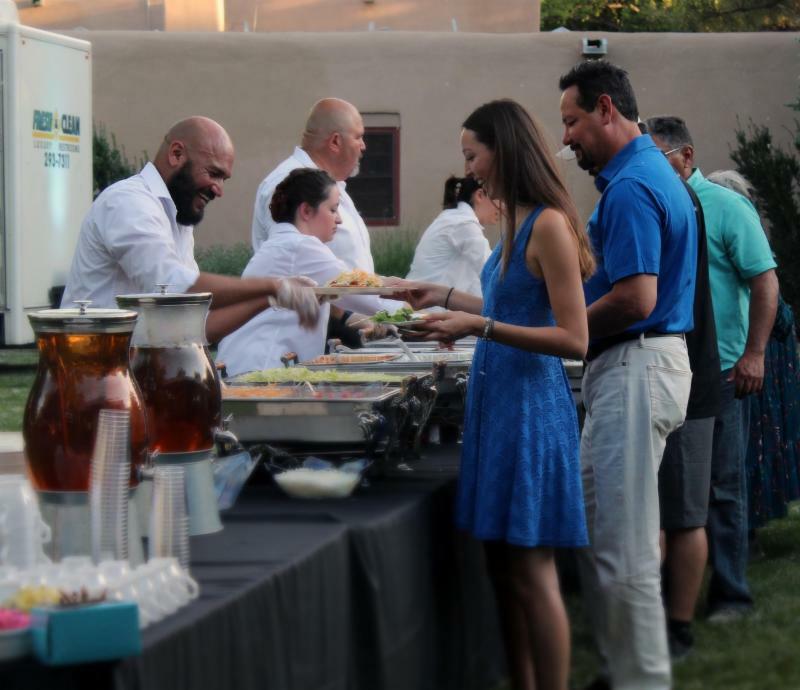 Guests enjoyed authentic Indian Tacos prepared by Notah’s mother and finished off with delicious ice cream sandwiches prepared table side by Rude Boy Cookies. Guests were also treated to a silent auction that included autographed sports memorabilia from Golden State Warrior’s star Stephen Curry, and the Dallas Cowboy’s Tony Romo. Nike N7 apparel and art by Santa Fe Artist, Ginny Hogan, also gathered big bidders. The live auction raised over $20,000! Guests were inspired by the personal story of NB3 Foundation's youth participant turned coach, Marissa Sandoval. 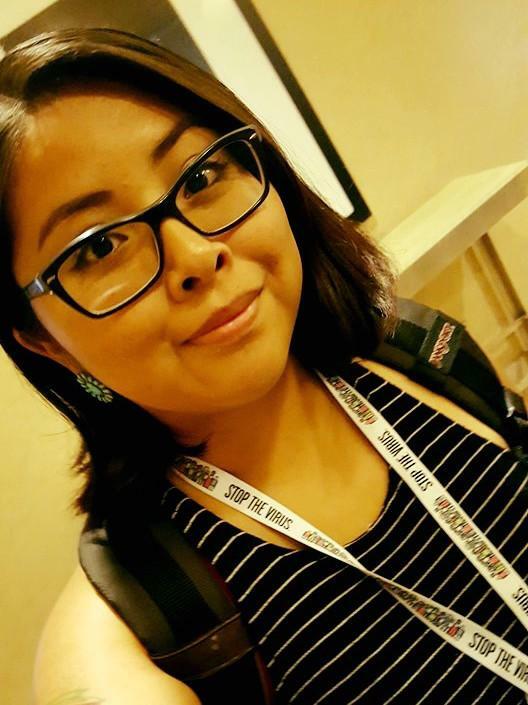 Marissa shared her touching story of living in foster care and her many achievements despite her circumstances. Tournament day began with a free NB3FIT Jr. Golf Clinic lead by Notah Begay III, special guest Alexandra O’Laughlin from the Golf channel and the NB3FIT Coaching Staff. 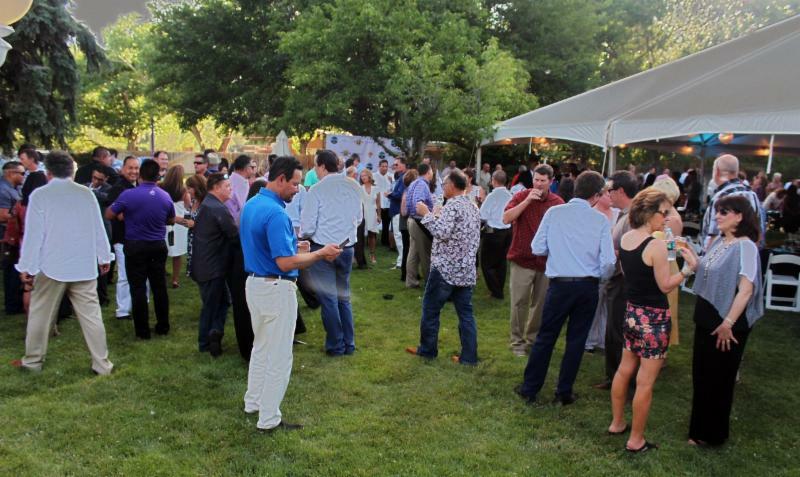 This premier event drew over 120 players who enjoyed the on-course entertainment and food provided by Mashantucket Pequot Tribal Nation, Garcia Automotive, Raving Consulting, Juice it Up, Doughboy’s Bake Shoppe and Steel Bender Brewery. 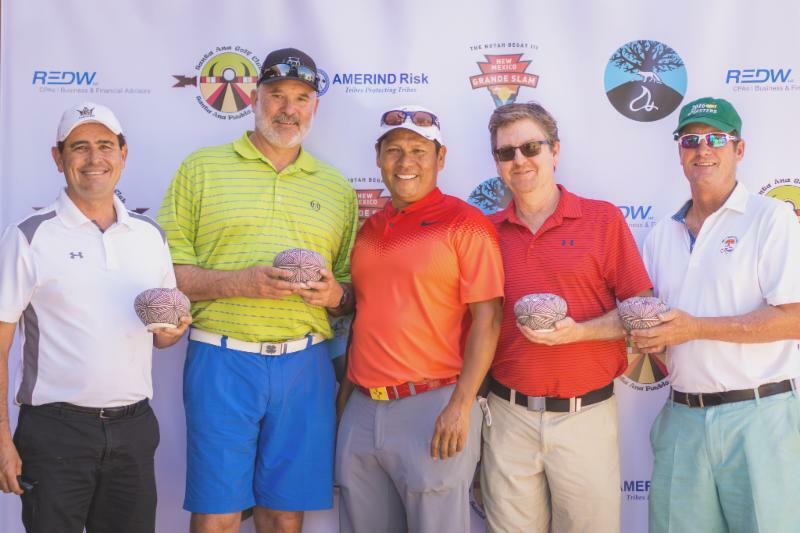 Thank you to all of our partners who helped raise money and awareness about the tremendous work being done by the NB3 Foundation and its partner organizations on behalf of New Mexico’s most vulnerable children. 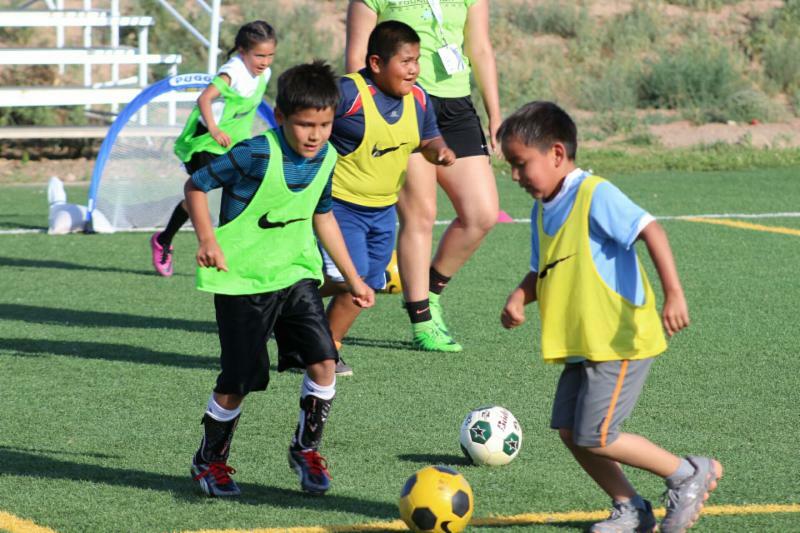 NB3FIT has held two soccer camps this summer: one at San Felipe another at Sandia Pueblo. Both the NB3F staff and kids had a great time! 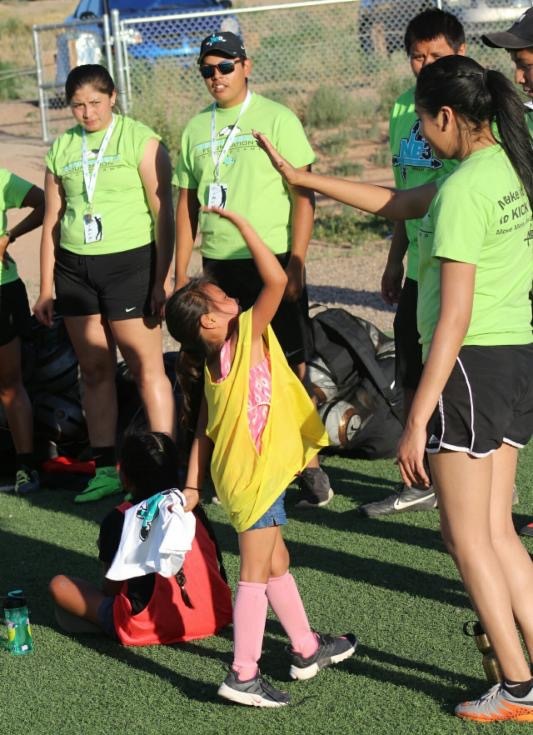 Soccer skills, leadership skills and nutrition education were all a part of the curriculum. The kids enjoyed interacting with the coaches and being able to learn the game of soccer while having tons of fun. Some games played were Sharks and Minnows, Fruit Basket, Thirsty Hippos, Goal Wars, Cannon Ball and more. 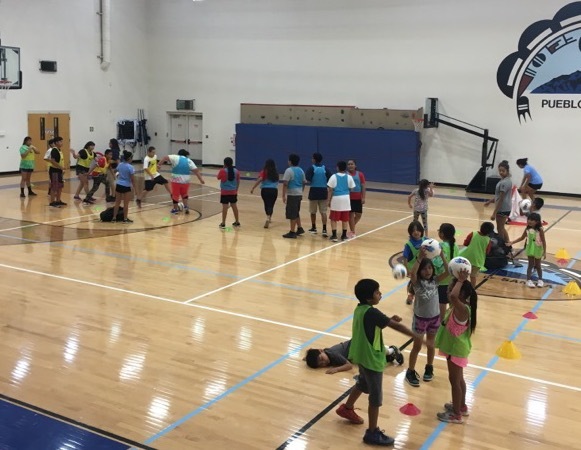 Alongside playing and learning about soccer each child learned about the four important nutrition topics: Hydration, Fuel For The Body, Fruits & Vegetables and Avoiding Sugar. The kids learn about nutrition through games. For example, Thirsty Hippos emphasizes the importance of drinking eight cups of water a day. The game Fruit Basket, highlights the importance of eating five servings of fruits and vegetables every day. More soccer camps are to come and we can't wait to get kids moving and having fun! Thank you to everyone who contributed to the 10forThem fundraising campaign! Also, thank you to the 25 individuals (our NB3 Foundation Health Champions) who volunteered their time to fundraise for Them! Not to mention the companies who supported this campaign: Bow & Arrow Brewing Co., Southwest Capital Bank and the Albuquerque Hispano Chamber of Commerce's Convention & Tourism Department. As a result of everyone's hard work, over $6,000 was raised for Them---for Native American children! Many thanks to all those helping build healthy futures! Proceeds support the foundation's golf, soccer and cross country programs. If you missed the opportunity to donate to this campaign, there is still time to be a partner in fighting childhood obesity and type 2 diabetes. 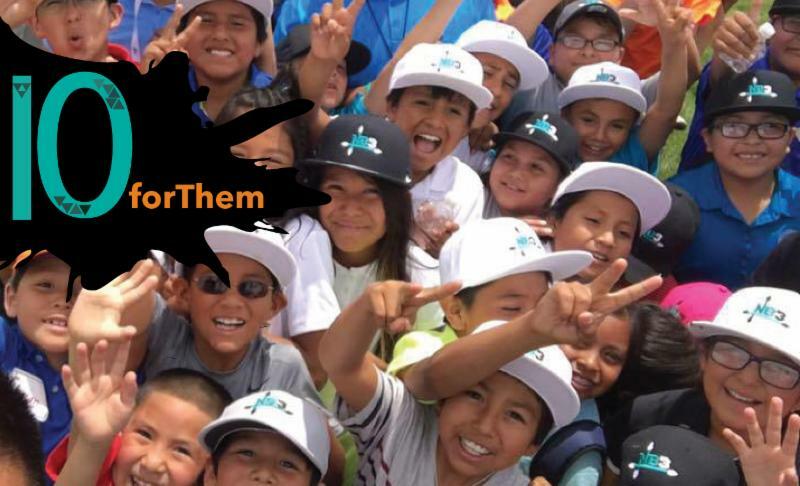 Your contribution will create healthy, happy and fulfilled lives for Native American children! Your strategies to limit sugar-sweetened beverage consumption among young children is inspiring. Thank you for putting our Native American children's health first. We have a super star amongst us! This is our intern, Natahlia Enoah. She has been accepted by two graduate programs to continue her work in public health. One is at the University of Arizona to study Health Service Administration and the other is at the University of New Mexico to study Health Education. Tune into our next quarterly newsletter to find out which program she chooses.